Andrea Chung, Midwives II!, 2017. Andrea Chung addresses the disproportionately high rates of Black maternal and infant mortality in the United States through her project, Eeny, meeny, miny, moe. Black women die from pregnancy-related causes at three to four times the rate of White mothers, and Black infants die at more than twice the rate of White infants. Studies link these disparities to systemic inequality—including differential access to healthy food, clean drinking water, reliable transportation, and safe neighborhoods—as well as the daily stress of discrimination. Chung’s installation at Lentz Public Health Center centers on a baby crib with a brass mobile in the shape of Interstate 40, a symbol of the relationship between urban planning and Black health outcomes. Constructed in 1968, the interstate devastated the predominantly African American neighborhood of North Nashville, displacing families, shuttering businesses, and reducing the number of places for community meeting and recreation. I-40 also obstructed easy access to full-service grocery stores, which continues to be a challenge for area residents. Dangling from the mobile are bottles, rattles, and other baby items cast in sugar, salt, and lard—materials that invite viewers to reflect on the disproportionate availability of fast and processed foods in communities of color and low-resource neighborhoods. 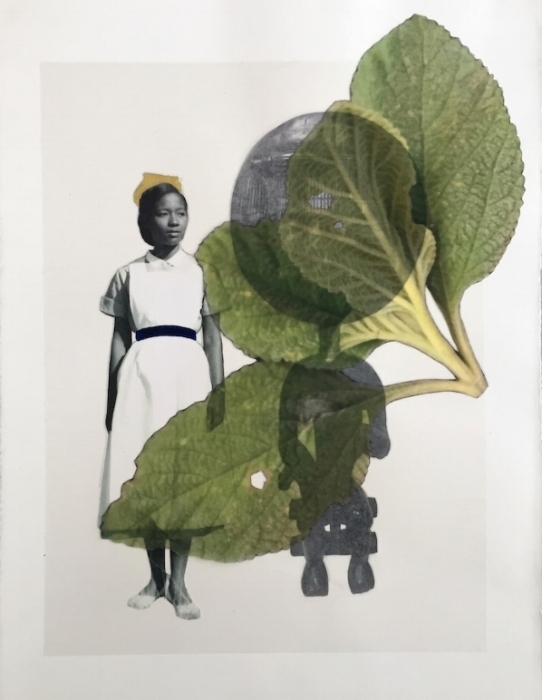 Chung’s materials also conjure histories of trade and labor that shaped Black food habits and practices. Beyond the exhibition, the artist aims to help new and expectant mothers, especially those whose communities have been fractured by processes of gentrification, connect with each other and find nutritional support. Drawing on her earlier body of work about Black “granny midwives,” Chung has teamed up with Taneesha Reynolds, a certified nurse-midwife, and Ashley Couse, a doula, holistic-health counselor, and childbirth educator, to develop a series of summer cooking workshops to demonstrate quick and inexpensive recipes for pre- and postnatal nutritional needs. Chung will compile these recipes and others into a community cookbook, to be distributed across Nashville in the fall. Lentz Public Health Center (2500 Charlotte Ave., Nashville, TN 37209) is located in the Charlotte Pike area and provides office space for three hundred Metro Public Health Department employees. The site includes exam rooms, a demonstration kitchen, and a dental clinic. The mission of the Metro Public Health Department is to protect, improve, and sustain the health and wellbeing of all people in metropolitan Nashville.